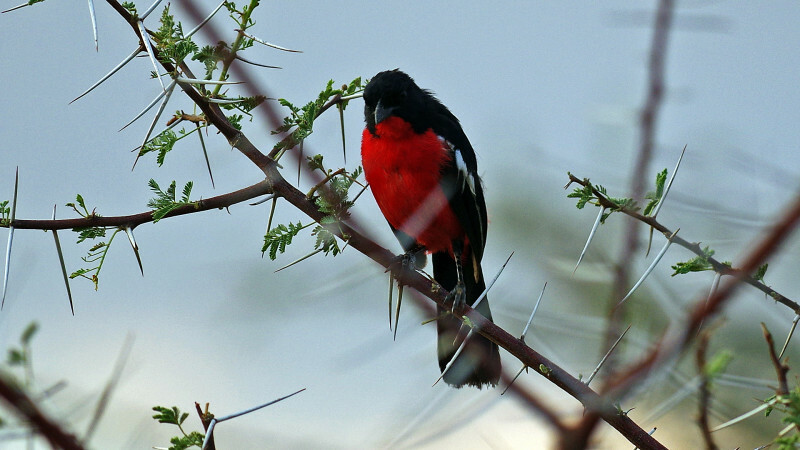 …and then this Crimson-breasted Shrike, in Namibia known as “the German flag”. 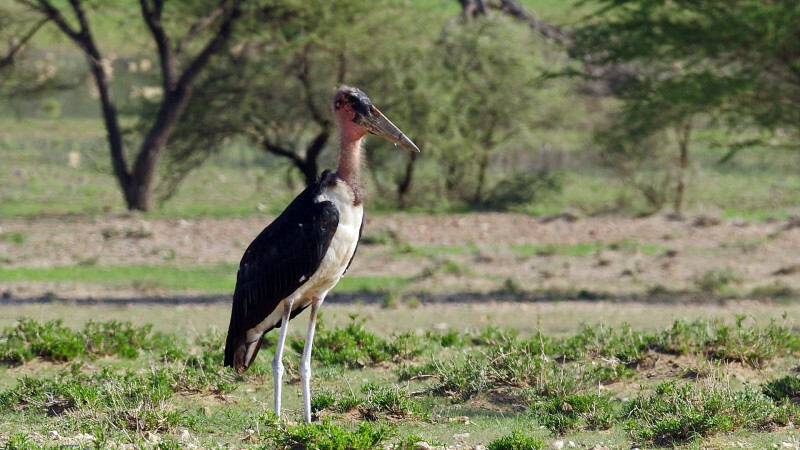 Namibia was a German colony over a hundred years ago and this bird, with the colors from the old German flag, used to be the national bird of Namibia. 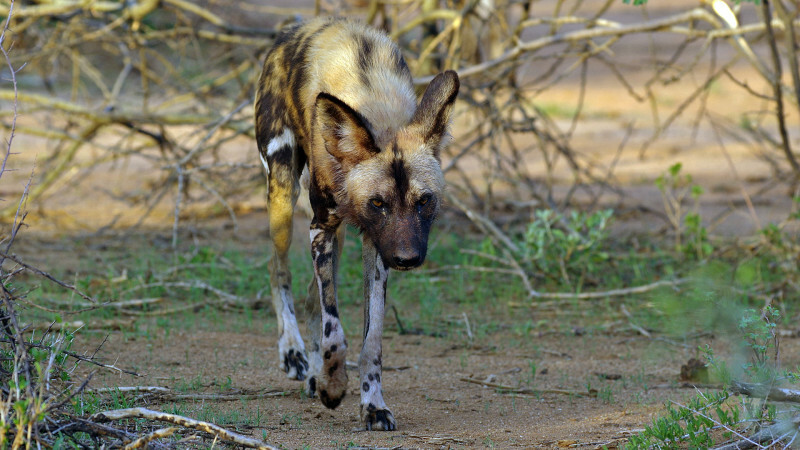 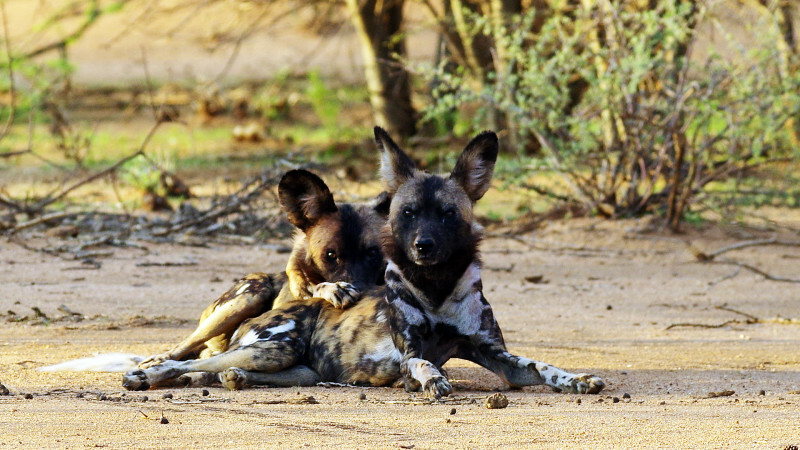 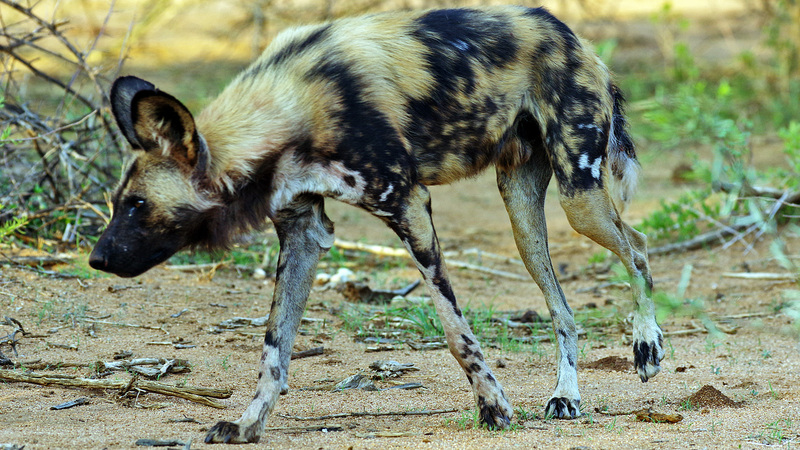 The African Wild Dog was once numerous in Namibia but is today an endangered specie. 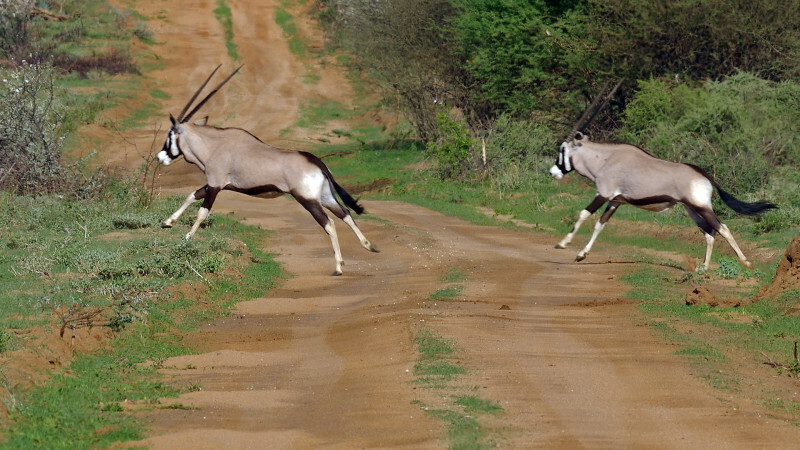 They are living and hunting in packs, able to run at high speed for a very long time and known to hunt antelopes to exhaustion. 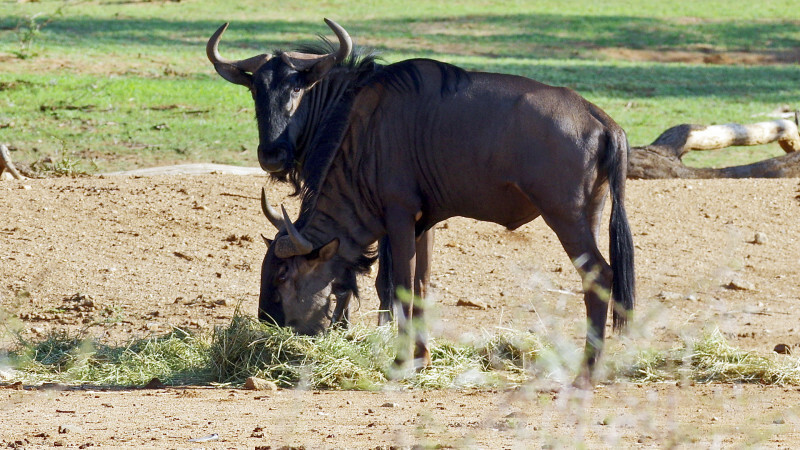 …and another rare animal. 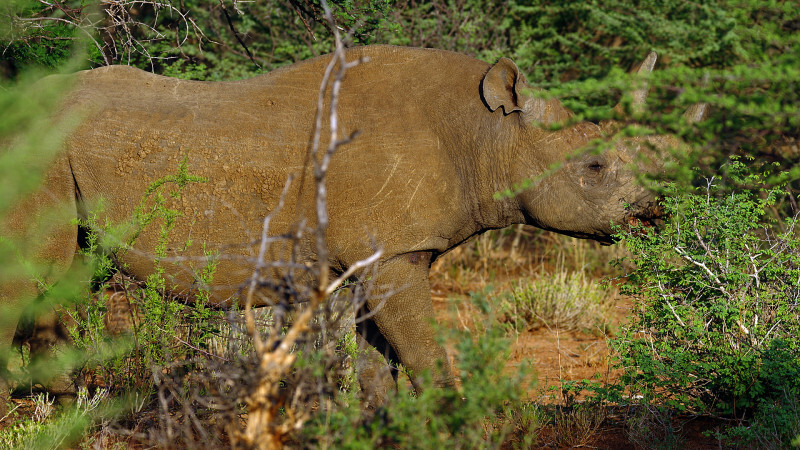 The black rhino is critically endangered but Namibia has one of the largest black rhino populations in the world. 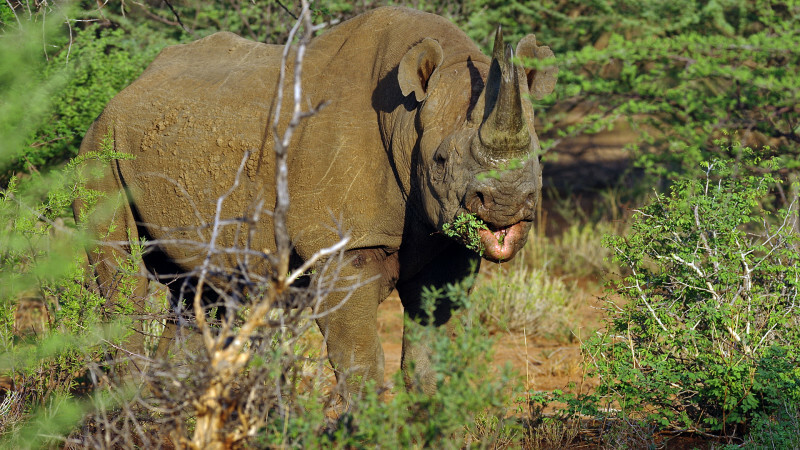 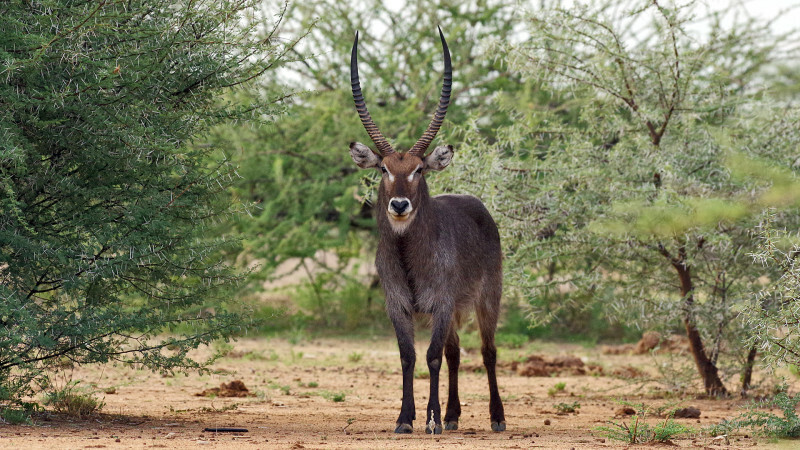 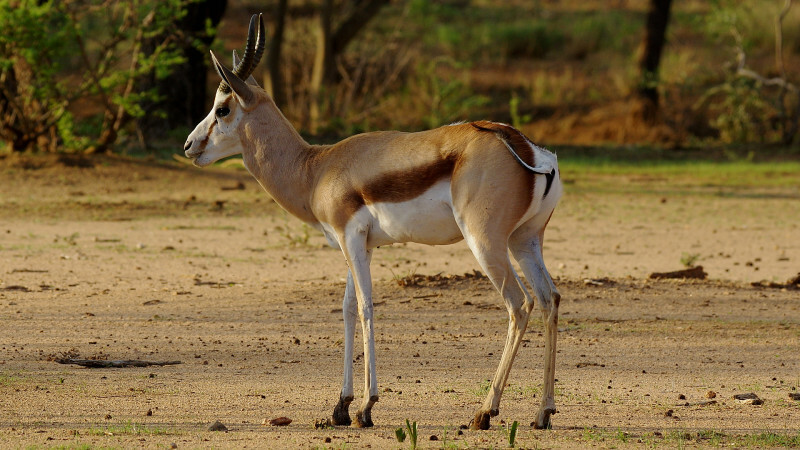 Unfortunately poaching is today becoming a huge problem even in Namibia. 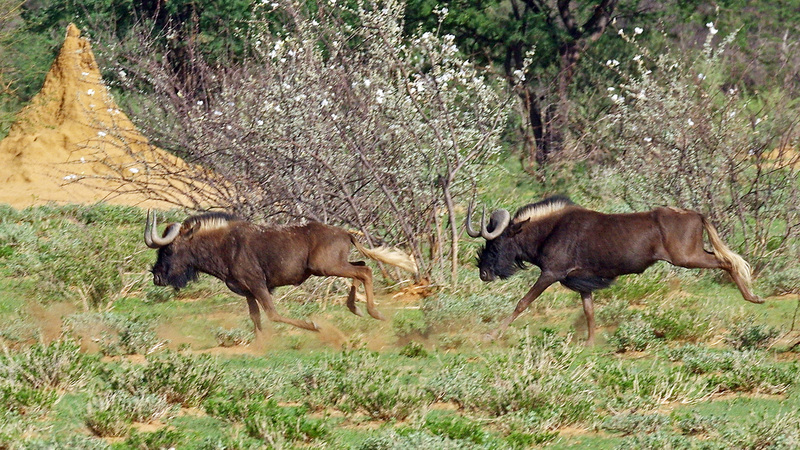 …and finally two Black Wildebeest (White-tailed Gnu). More photos from this morning game drive in the next post! 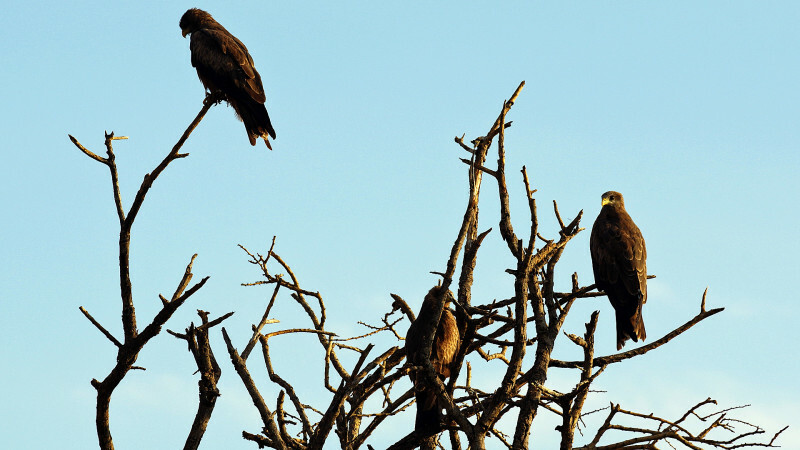 Yellow-billed Kite is correct and the falcon is probably a Taita Falcon . 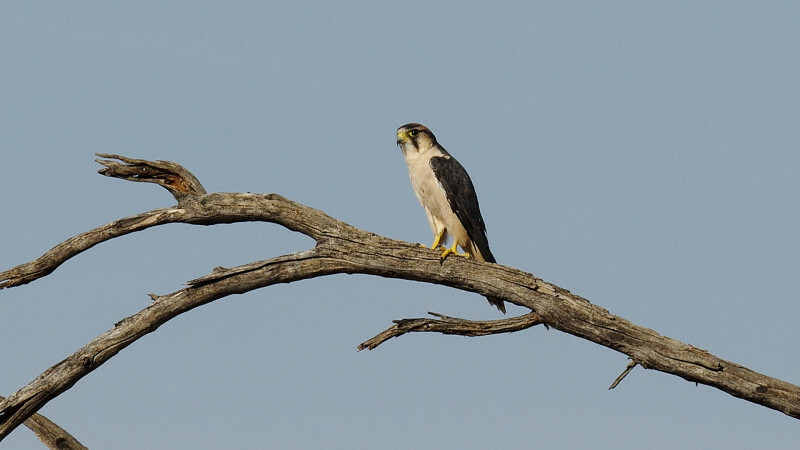 Email/show me more pics from other angles if you need the falcon sorted out.